Floyd Mayweather refutes claims that he will fight Kickboxer Tenshin Nasukawa. 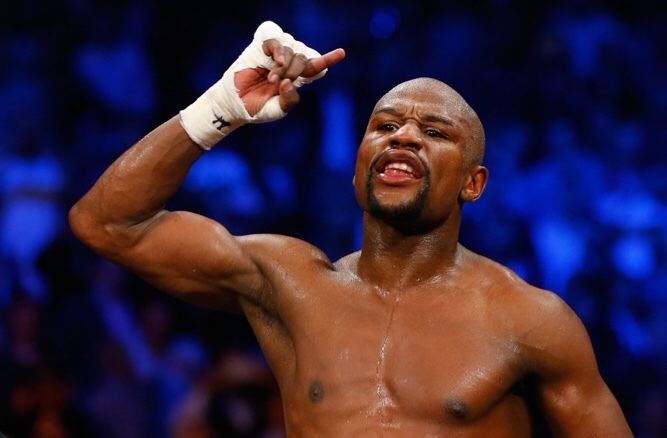 Floyd Mayweather has announced he is not fighting Japanese kickboxer, Tenshin Nasukawa. Mayweather explained his readons for backing out of their fight in a post on Instagram, where he claims he never even agreed to the fight in the first place. Floyd has backed out of a showdown following his win against McGregor and ensuing re-retirement. He was “deadly serious” about a rematch with Manny Pacquaio before he wasn’t. Regardless of who he agrees to fight next in order to stay relevant and pay off his back taxes, you’re a fool if you want to see this joker fight again. See Instagram post announcing Floyd’s non involvement below.